Fort Myers dentist Gary Aspinwall, DMD, and his friendly team are pleased to announce the opening of their new practice which offers expanded services including a digital intraoral and panoramic x-ray system. Over 200 dental insurance plans accepted. Special offers available. Residents looking for a new dentist in Fort Myers, FL can enjoy quality care in a more convenient location now that Coast Dental is moving next to Publix in the Grand Bay Plaza, located at 18990 S. Tamiami Trail, Suite 110. The new dental office is located just three and a half miles from its original Island Park location and is designed to provide patients with high-quality dental care, more spacious patient areas, and expanded dental services. The phone number remains (239) 482-2296. Fort Myers dentist Gary Aspinwall, DMD, has been helping patients smile since 1986. He provides general dentistry services to patients starting at age 14. His services include teeth whitening, crowns and crown lengthening, dentures, bridges, dental implant restorations, extractions, root canal therapy, periodontal disease management, soft tissue grafting, treating TMJ disorders, and veneers. 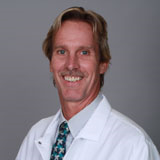 Dr. Aspinwall earned his dental degree at the University of Florida College of Dentistry in Gainesville, where he also completed his residency. His undergraduate degree is from Jacksonville University in Jacksonville, FL. Dr. Aspinwall is a member of the West Coast Dental Society, Lee County Dental Society, American Dental Association, Academy of General Dentistry, and the Florida Dental Association. Joining the team will be an orthodontist specializing in traditional braces, clear bracket braces, and clear aligners. Coast Dental’s new Fort Myers orthodontist will have options for every age, style, and budget. For more information about how braces can improve smiles and self-confidence, visit CoastDental.com. Coast Dental Grand Bay Plaza accepts more than 200 types of dental insurance, and offers dental financing plans for qualified patients, and accepts SmilePlus®, which offers savings up to 70% on dental services for patients without insurance. For office hours, money-saving offers, and more information, please visit CoastDental.com or call (239) 482-2296. Coast Florida P.A., with its professional associations, is one of the largest providers of general and specialty dental care in the United States with more than 175 affiliated practices operating as Coast Dental and SmileCare. Coast Dental Services, LLC. is a privately-held practice management company that provides comprehensive, non-clinical business and administrative services to its affiliated practices. The company is headquartered in Tampa, Florida.